Hello my name is Brittany! 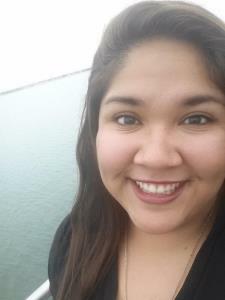 I currently work as an Academics Facilitator at Texas A & M University Kingsville and have been working here for almost a year. In this position I oversee our academic programs as well as prepare material for our programs making sure that it is up to par for the students attending both public and private school. As far as tutoring goes I have tutored students that are as young as 6 years of age all the way up to 15 years of age. My strong points are math and science but I am fully capable of tutoring other subjects at the lower levels such as reading and history. Even though the degree I am pursing isn't in education I love helping students find confidence, gain understanding and find their own learning styles while teaching them tips and tricks for test taking. I am just naturally strong in the math area. If there is material that I am not familiar with I always make sure to gain full understanding before attending a session. This is to ensure that the student gets all they need from the material. I am a Kinesiology- Exercise Science major as well as an Athletic Trainer. This gives me a deeper understanding on Anatomy and Physiology. I have been doing athletic training for 8+ years and love Anatomy! I worked with an autistic student back in high school and have tons of patience. I understand that each student is different and has their own personalities. I have also taken some special needs classes and know how to handle many situations that could present themselves. I am a Kinesiology - Exercise Science major which gives me a great fitness background. I hope you take great interest in my profile. I'm available for sessions anytime after 5 pm and all day on the weekends. If you are interested feel free to contact me. I look forward to assisting you! Being that Kinesiology is my major I have taken plenty of classes in nutrition. This gives me an advantage when it comes to tutoring in nutrition. I also have nutrition literature books to review from. As an Academics Facilitator at Texas A & M Kingsville University we have a STAAR Prep Program where I create curriculum that follows the Reporting Categories provided for the STAAR test. This includes all material from 3th-8th. All subjects that the students test on I prepared material for.